The second-leg Champions League last-16 clash between Tottenham and Juventus on Wednesday evening is set up to be a nail-biter for punters. It follows a first-leg betting heat that became a heartbreaker for football betting fans who thought Juventus looked a solid punt before the game kicked off. Indeed, that particular view seemed a safe bet after the first 30 minutes, with Juve going 2-0 up, as well as enjoying one of the best defensive records in Europe. The game then transformed as Tottenham decided to do their own rendition of the Italian Job and salvage a heroic 2-2 draw. The result has set up the second leg with a distinctly cagey and tactical look to it – one that makes betting on a low scoring game and for Juve to perform their own Italian Job an appealing bet at value odds. If you're thinking about the corners market for this one, go for Over 7.5 at 2/9 with leading bookmaker Unibet. Backers of Juventus in the first leg were left in disbelief after an unlikely Tottenham fight-back from two-nil down saw them throw away a very strong position to draw the game 2-2. 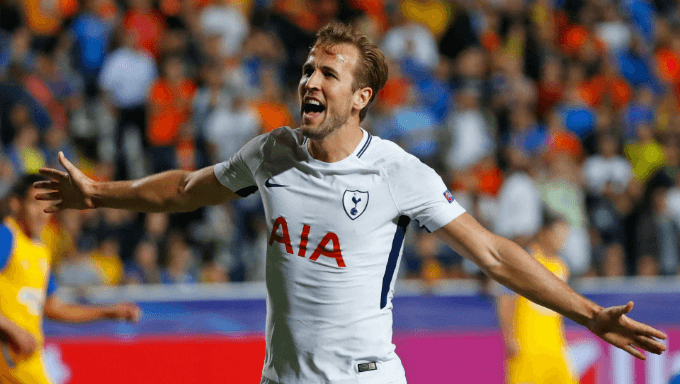 Many backers took the cash-out option with top football bookies before Harry Kane's strike on 35 minutes changed the complexion of the match, but it was a bitter pill to swallow for those with bets on Juve. A missed penalty merely rubbed salt into the wound. Huge credit has to go to the Tottenham Hotspur, whose performance exposed a Juventus defence who are touted as one of the strongest in all of Europe, let alone in the tournament. There are many football bettors, including the bookmakers, who make Spurs strong favourites to win the second leg with home advantage at Wembley. Indeed, it's hard to fault Tottenham Hotspurs' Champions League form this season – having played seven, won five, drawn two and lost none. And that includes games against Real Madrid and the first leg against Juventus. They're also flying in the FA Cup and remain undefeated in the Premier League since losing 4-1 to Manchester City. The League Cup aside, only Chelsea have beaten them at home (2-1) this season. However, with short odds of 11/10 available on Tottenham, Juventus may appeal to spoil Spurs' impressive European campaign. That said, their own odds to win the game at 12/5 hardly set the pulse racing. What has more appeal on the value front is backing Juventus to win the game 1-0 at odds of 9/1 with Ladbrokes. The side has notched-up six 1-0 wins in Serie A so far. What's more, their recent two-legged Coppa Italia semi-final win over a solid Atlanta side came courtesy of two 1-0 victories. Pragmatists may point to Juve's Champions League results from this season, which haven't featured any 1-0 wins – but that merely adds to the temptation to back the Italian Job against Spurs at nice odds. From a tactical perspective, 1-0 also ticks the box for Juventus – who need a 2-2 (14/1 with Betfair) or higher draw to take the game to extra-time, or any victory to progress in normal time. While a 0-0 or 1-1 doesn't suit the Italians, playing an open game and going gung-ho for goals will play into Tottenham's hands, giving Christian Eriksen, Dele Alli and Mousa Dembélé too much freedom – and potentially Harry Kane a field day. While four goals were scored in the first leg in Turin, the second leg appeals as a much cagier affair on the betting front, making the 13/5 odds for under 2 goals with William Hill appealing. We know that these two sides are evenly matched, and in some ways their form points to a case of ‘unstoppable force meets immovable object'. We've already touched on Tottenham's unbeaten run since December – but it's a very similar story with Juventus. They haven't lost since November and only tasted defeat once in the Champions League when making a sluggish start against Barcelona on matchday one. Tottenham could look to attack and get an early goal, making things very hard for Juventus. It's a scenario that would open up the game, but it's a dangerous strategy for Mauricio Pochettino's side. The same could be said about Juventus, who could push for goals. But the likeliest scenario is a game of football chess, in which neither side can afford mistakes; Tottenham need a low scoring draw, but if they do score a goal we can expect them to try and shut out Juve and protect what they have. As for the visitors, we've already touched on their affinity for the 1-0 win and the likely approach of looking for the smash and grab result. Following heroics in Turin, Tottenham's recent Champions League and Premiership form makes them justifiable favourites in many eyes. However, the game is delicately poised and looks set to be a very cagey affair. The Italians are the masters of the 1-0 victory this season – and that makes Juventus to win 1-0 at 10/1 with William Hill the most enticing value bet on the night!